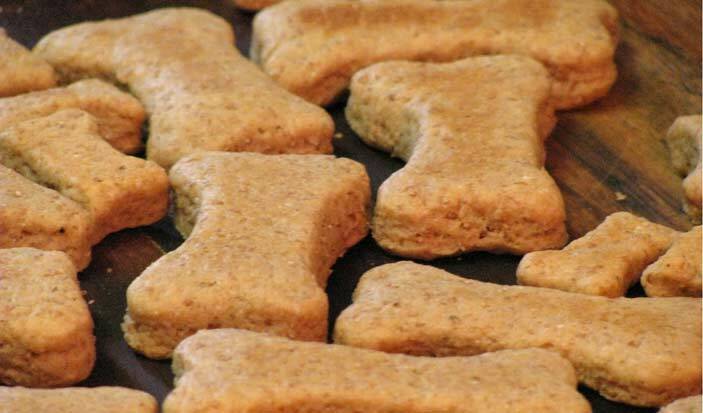 Paul Jacobson, from Vondi's Pet Nutrition, joins us in studio to show us how to make doggie biscuits and to answer a few questions regarding correct dietary requirements for animals. Mix dry ingredients. Then pour in wet stock and mould into a dough with your hands. Flatten with a rolling pins and cut out fun shapes. Bake for half hour or until crunchy.